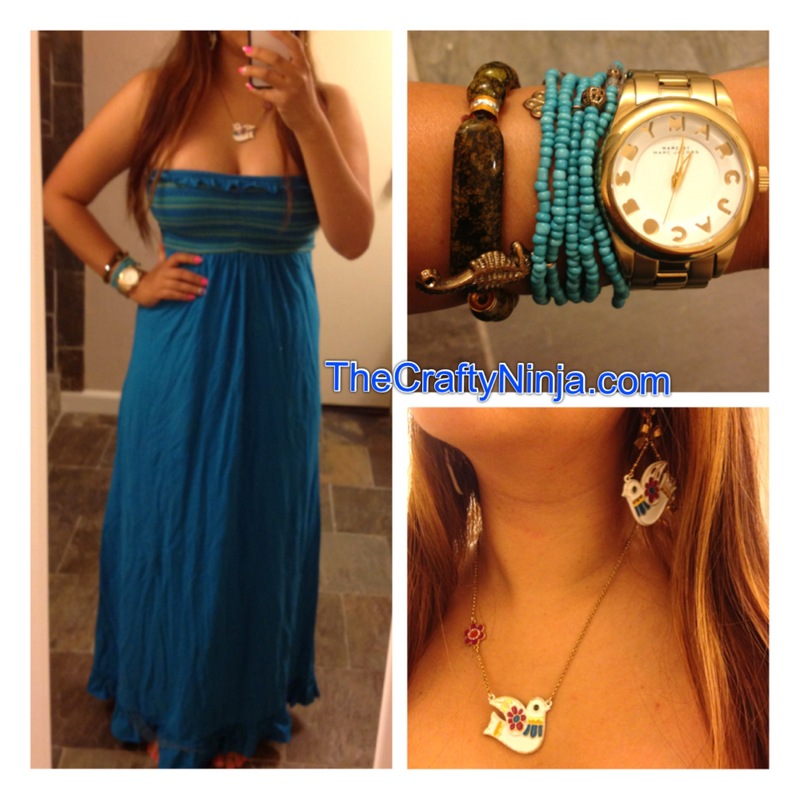 Today’s outfit is a tube top empire waist maxi dress perfect for summer. I like this one here. My arm swag is Marc Jacobs Watch and a couple of stretch bracelets (similar one here). My earrings and necklace set is Betsey Johnson.